When do we know we're right? When do we have assurance in that what we have said in an instance is empirically correct? This is what separates facts from opinions. 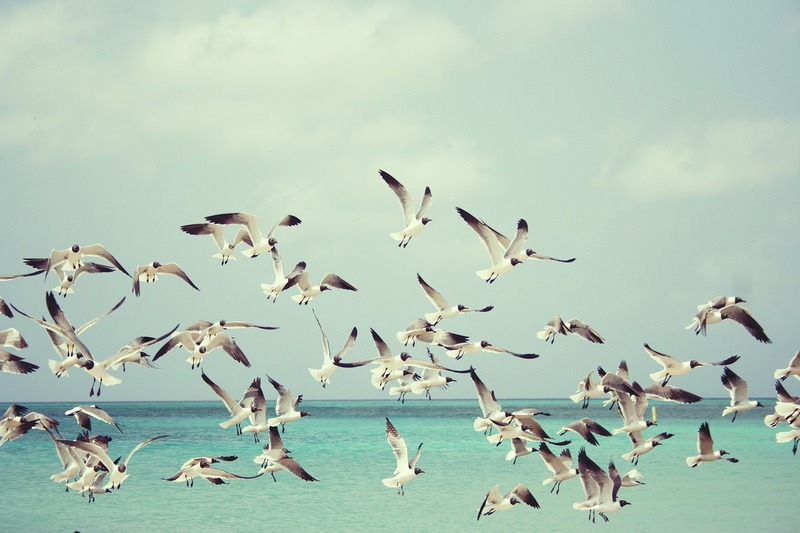 Often, we see birds flying in formation over our heads. Even though a V shape will be led valiantly below the clouds, there are often birds that are not in the pattern. Those birds are like the opinions we hold. Over the course of living, it is easy to understand that we make mistakes. We don't understand everything correctly. There are some beliefs, a result of our own human nature, or a result of our environment, (nature vs. nurture) that we hold to be true with so much conviction, almost nothing can shake it. A truth we can know with our intellect, and be assured of it. That proposition, when faced with doubts, is not easy, but easier, to shake. When you know something, something that it would hurt to part with, that is knowledge of the deeper sort. Knowledge of the heart. Opinions are what we want to be true, or hold to be true, even with little basis in reality. That is not to say that there cannot be an informed opinion. Opinions can be verified, to an extent. I am of the opinion that the world will not end, i.e., Jesus will not return, for a few thousand years. I cannot prove that. But there is a departure point, a point where an opinion crosses the Rubicon of certainty, and over into the Rome of established knowledge. If I discovered a trustworthy source that clearly spelled out a rationale for Jesus' return's taking a thousand more years, I would say "this is true." That is an impossibility. "Watch therefore, for you know neither the day nor the hour in which the Son of Man is coming." (Matthew 25:13, NKJV) But there is a problem. Everything, even heart knowledge, is subject to doubt. No matter how strongly we hold a belief, it is always subject to doubts. We ourselves can doubt our own entrenched propositions. Other people may have encountered the propositions our life is built upon and have rejected it, for good reasons. I know people who believe that Christ will return within the week. Even when the things we hold to be true are inside us, we still have the capacity to doubt them. But the question is not whether or not a truth can be doubted. Anything can be. What is important is whether something is true or not. If it is not true, then the doubt will lead to a rejection of the principle, based on other principles. No matter how we tear down what we think, based on others' opinions, we always have a standard we are evaluating by. The birds out of formation are out of formation precisely because there is a formation. Opinions are not truth by definition. The best formation to have--the one we should have, is a biblical formation. A biblical worldview. It would be easy to speak of the consequences of separating ourselves from it. "We become degenerate! We have no ethics! Separating ourselves from God is to break off our essential nature!" It is very easy to talk about a problem, to highlight an issue. The hard part is actually doing something about it. Fighting for the Truth. Defending what is true, even at the cost to ourselves. There is a danger to opinions. They often stem from ourselves and ourselves only. We only seek to justify them after the fact of having them. That is why it is important to have a biblical worldview. A biblical worldview is true. So when we derive things from it into opinions, we can be assured that anything that might be wrong has come from a good source. No one can have a perfectly biblical worldview, however. Our sinful human nature, our upbringing, trauma, influence of others, among other things, can taint a worldview. So then how are we to get this biblical worldview? As the name suggests, the worldview does not occur to us naturally. Truth does not occur to people. We are not born thinking the right things. We are born with certain truths that haunt us even if we hate it, like some people and the existence of God. But those truths do not rule us. What we want rules us. When you were born, did you automatically know that God needed to send Jesus to save us from ourselves? "Finally, brethren, whatever things are true, whatever things are noble, whatever things are just, whatever things are pure, whatever things are lovely, whatever things are of good report, if there is any virtue and if there is anything praiseworthy—meditate on these things." And we will produce what we put in. What comes out is a direct reflection of what is inside us. The headwaters of a clear stream will be clean. Shriveled fruit proceeds from a sick tree. No one ever said it was easy. This is not something that comes overnight or by a quick analysis and diagnosis. This, for you, may be the first step towards something greater. Something better. I will tell you to be bold. To express opinions. Be strong and of good courage. To be assertive. But equally important is balancing assurance in correctness with a preparation to be wrong. We learn in two ways. One, by the assimilation of information and ideas. That is good. We also learn by finding what we thought was true before. We cannot learn if we are not ready to accept we are wrong. Be wrong--but then be right.